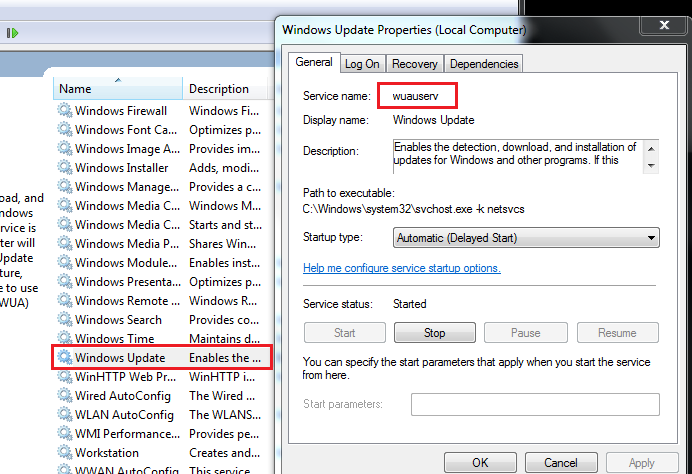 Techies Sphere: Windows service restart script suitable for Windows Task scheduler. 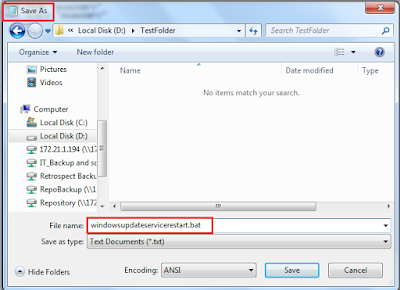 Windows service restart script suitable for Windows Task scheduler. Or, How to create a Service Restart .bat script? Or, .bat script for windows service restart. Descriptions: To create .bat script suitable for windows task scheduler, first you need to have the service name and then write a small script for that service to be stopped and started. 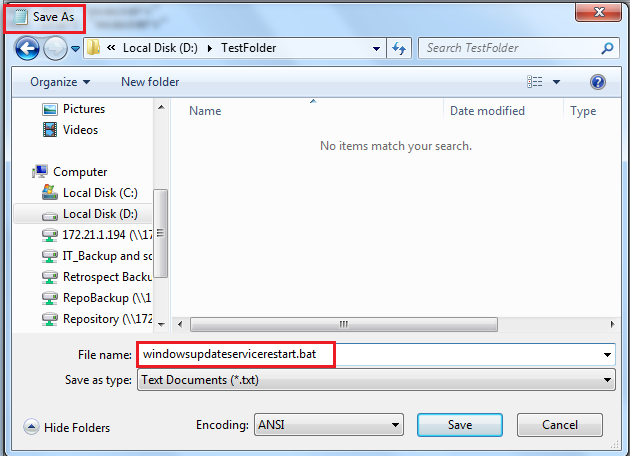 My Scenario: I want to create a .bat script for restartig windows update services which should compatible to be executed manually by command prompt, by double click or by pointing in Task Scheduler Windows Task management console. 2. Now open a Notepad > Type the commands as shown in below screenshot. 3. 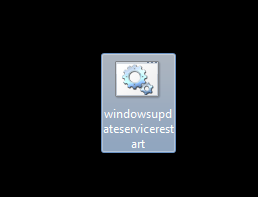 Go to File > Click on Save As > Give any name you want with .bat extension > in my case its “WindowsUpdateServiceRestart.bat”. 5. The .bat file script will look like below. Now you can use this script as per the scenario explain above in this article. Let me know if you still need any help on this.. Cheers!